I am writing this from New York, a metropole of mainstream entertainment cinema, but also the place to be for two veterans of independent cinema, the 86 years old Albert Maysles and the 90 year old Jonas Mekas. Maysles, part of the classical direct cinema movement once said that “the eye of the cameraman should be the eye of the poet”. Mekas is, if anyone, the father of the personal cinema, never compromising in his way of putting together his diaries from all over the world. One should go for innovation but also honor roots and tradition – this is what we do in Belgrade year after year with a festival that carries the name of a mainstream American movie but has its focus on poetry and independent, personal storytelling. And which, like the old people mentioned, insists that documentary films should be shown on a big screen for a big audience. In cinema halls. Actually all the films selected for the 2013 edition of Magnificent7 have been shown theatrically in their countries of origin, some of them also in theatres abroad. It can be interpreted as one more sign of the golden times, we experience for the popular documentary genre, but it also proves that the filmmakers who come to Belgrade with their films have thought of the big screen when making their works. We promise you poetry and personally made documentaries. With a diversity in themes and “handwriting”. From the minimalistic and original interpretation of an urban social reality in “Sofia’s Last Ambulance” to the beautiful and respectful meeting with people, who do very seldom appear in the media: “Tea or Electricity” and “Winter Nomads”. From the portrait of a great humanist, Olof “Palme”, who was shot down, when he chose to walk home after a visit to the cinema, to a rich film in its time depiction of a society as is the Czech “Private Universe”, a family film in the wonderful epic tradition. Magnificent7 is a tribute to the art of cinema, but it is also a tribute to the power of art itself. Two films point directly in that direction. 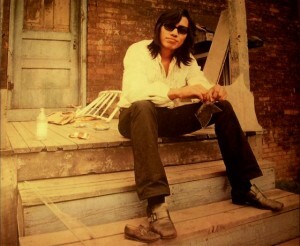 “Searching for Sugar Man”, internationally the most successful documentary of 2012, is (also) about the fact that important art will always survive, whereas “Soundbreaker” is, as the title indicates, about an artist who seeks to break all rules to give us viewers and listeners an experience, we will never forget. Do come to the 7 films we hope you will enjoy and never forget.